Harehope Quarry > Smallholding > Experimental logging! Following storms over the past few winters there are a lot of fallen trees on the ‘Tip End’ at Harehope Quarry. The bank sides of the the ‘Tip End’ are very steep and up to now we haven’t manage to recover any of the fallen timber. 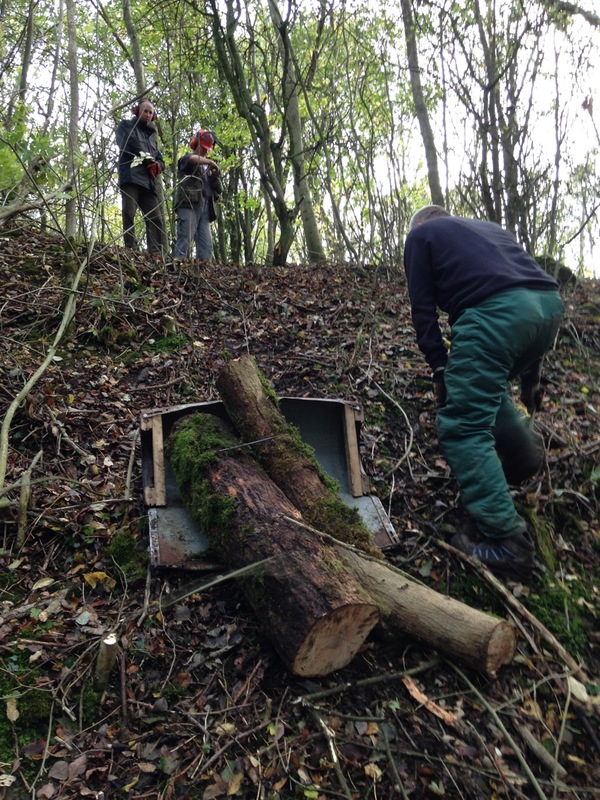 Colin came up with an ingenious winch and log-sled to pull the logs to the top of the slope. The experimental logging was very successful and so there will be many more weekend of playing no doubt.